Trip Schedule: SOAR Trips are scheduled adventures experiences connecting PSU students to the great outdoors via outdoor adventure activities. No participant experience is necessary. Trips are led and instructed by volunteer PSU students who promote a respect for the environment and a love for the outdoors. Trips can be day and/or overnight(s) involving activities such as rock climbing, paddling, hiking/camping, snowshoeing and backcountry skiing. NOTE: SOAR programs are available only to current PSU students, faculty and staffs. Spring Semester SOAR Trip and outdoor skill clinics led by the SOAR instructors are open to all students, faculty and staff at no cost. Request more information by sending an email to PSU-OUTDOOR-CENTER@plymouth.edu or give us a call (603)535-2622. Please register to a SOAR Trip of Clinic as soon as you can, since there are limited spaces for each trip or clinical. Register no later that the Fridays at noon before the scheduled weekend SOAR trip you want to participate in. So you love to climb but there’s snow at all your favorite crags and the indoor gym gets old, what ever are you to do? 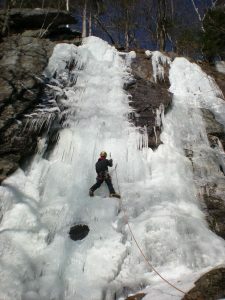 Come explore the world of ice climbing with SOAR. This crag offers great climbing year round. Enjoy a new way to ascend your favorite routes. 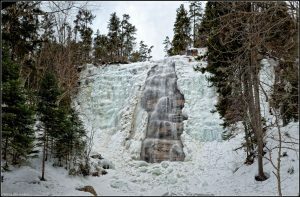 Our expert leaders will help you if you are new to the ice climbing world, but these falls are challenging enough to be enjoyed even by the pros. All required gear will be provided FREE thanks to the outdoor center. Want to get one last snowshoe adventure in before all the snow is gone? 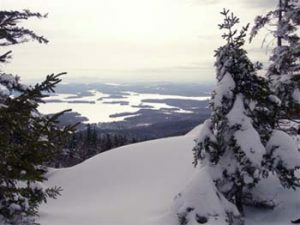 Come join SOAR for this great snowshoe hike in on one of the most iconic trails in the whites. 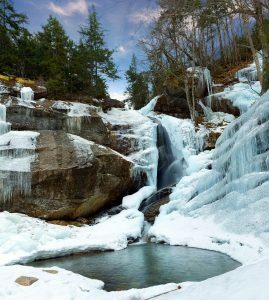 This 5 mile out and back hike offers views of Cannon, and leads to an active waterfall that will just be starting to thaw this time of year. Snowshoes will be provided FREE thanks to the outdoor center. Ready for the first hike of the spring? 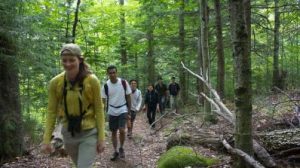 Come join SOAR for a fun afternoon of hiking in Crawford notch. This loop starts with a 1 mile hike to a waterfall followed by 3.5 more scenic miles that include a summit of Frankenstein cliffs and a stroll alongside the Conway railroad. This hike guarantees to be a great kick off to your spring hiking season. Have you been wanting to go on some great hikes but don’t want to drive all the way up to the whites? Come join SOAR for a hidden gem right in our back yard! On this 4 mile hike you’ll climb about 1500 feet and on a clear day the summit offers views of our campus. Come take advantage of this great hike close to home. Come escape into nature and come home to yourself during this overnight backpacking trip to Three Pond Shelter with SOAR! During our time on this mini expedition we will practice yoga and meditation as tools to bring us closer to the Earth and to ourselves. You will also have the opportunity to learn some basic backpacking skills like how to pack your pack properly, tarp set up, trail safety, backcountry cooking, and other cool stuff! This is a time to relax, rejuvenate and to just take time getting back in touch with what matters. We will leave Saturday morning and return Late Sunday afternoon. All required gear will be provided FREE thanks to the Outdoor Center. Hiking season is truly upon us and what better way to take advantage of it then with a challenging hike with SOAR. This moderately rated hike is just a short drive from campus but offers some great views at the top. 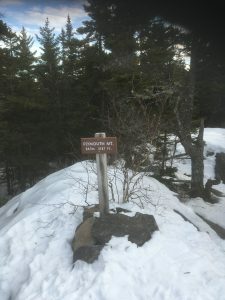 This hike is just about 3.5 miles round trip that is mostly mellow with some fun scrambly action near the summit. Transportation and any gear needed for the trip will be provided FREE thanks to the outdoor center. The Percival-Morgan loop is one of the more well known hikes around here, and for good reason. It has high accessibility, with a great payoff in views and trail fun. Come join SOAR for a fun day on this iconic loop. Transportation and any gear needed for the trip will be provided FREE thanks to the outdoor center. Level 1 An easy or stationary activity with no skill or experience required. 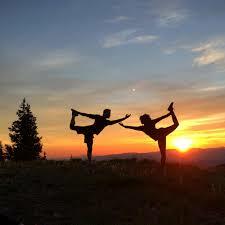 Level 2 An easy to moderate activity with no skill or experience required, and a limited amount of physical exertion. Level 3 A moderately difficult activity with extended periods of physical exertion. Level 4 A difficult activity with a high level of physical exertion. Be prepared to spend a majority of the day outdoors. Level 5 A challenging activity with continuous physical exertion. Be prepared to spend a full day in the outdoors. Previous experience will be helpful. A pre-trip meeting will likely be required.